Many would be hard-pressed to find the newly named Memphis Park or Mississippi River Park, but a new push wants to put those and other downtown locales back on the city's cultural map. Islands of public space — a few parks and a library — dot the downtown landscape in an unlinked archipelago chain. These islands stretch from Cossitt Library at the corner of Front and Union and north between Riverside and Main to include the library, Memphis Park, Mississippi River Park, Court Square Park, and other points along the Main Street Mall. Disconnected and sometimes hard to access on foot, these spaces draw the occasional tourist and a steady stream of homeless people sitting in the library's courtyard or lounging on the parks' many benches. These spaces are underutilized by most Memphians but are landmarks along what many consider the city's front porch. Memphis does have a proven prescription for activating unused landmarks. Previtalization brought back to life the Broad Avenue corridor, the Tennessee Brewery, and other areas. The idea is to use a rundown space as a blank canvas, put up something temporary to show its potential, bring in people to see it, and, hopefully, keep them coming back. That's exactly what organizers hope to do with the "Reimagining the Civic Commons" project. "This part of downtown is the missing piece that would link nodes of activity to the north (Bass Pro Shops at the Pyramid) and south (Tom Lee Park, Beale Street, Main Street)," said Maria Furhmann, the project's lead organizer in Memphis Mayor Jim Strickland's office. "The Cossitt Library and the two riverfront parks are sometimes forgotten despite the fact that they have great potential." 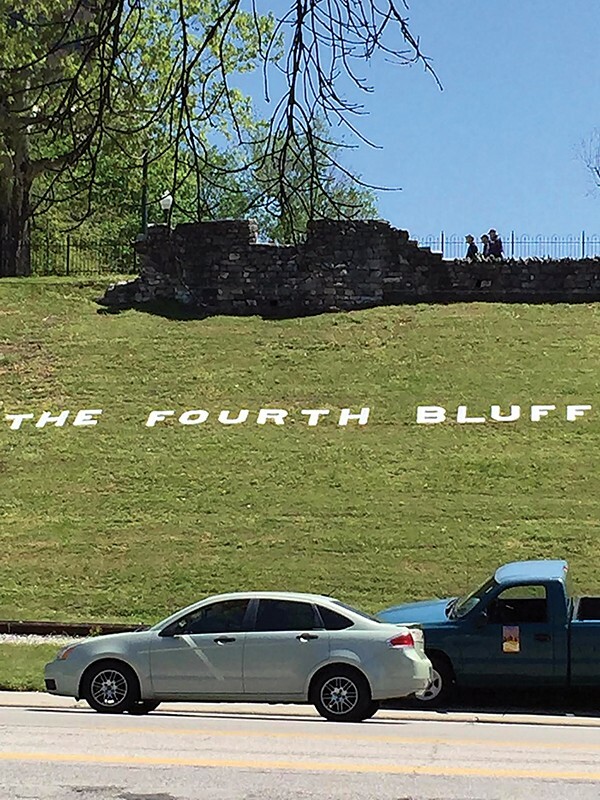 The project involved re-branding Memphis Park as the Fourth Bluff. 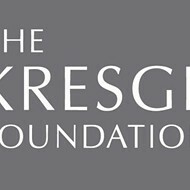 Memphis and six other cities are participating in the Civic Commons project, competing against one another for a $5 million grant by the John S. and James L. Knight Foundation, the Kresge Foundation, and The Rockefeller Foundation. The project was launched last year with an $11 million investment to link some of Philadelphia's parks, trails, plazas, and community centers. "Every city has a collection of civic places with the potential to add to their success in a big way," Carol Coletta, Knight Foundation vice-president for community and national initiatives, said in a statement last year. "In many cases however, these places are siloed from one another and in competition for dollars." In Memphis last week, new wayfinding signs went up around the library and the parks. New artwork from the UrbanArt Commission was installed on the Riverside corners at Court and Monroe. At Memphis Park (formerly Confederate Park) new lights, movable furniture, food trucks, and a host of new activities popped up near the park's historic cannon and statue of former Confederate president Jefferson Davis. On Saturday, many got to visit the Cossitt Library's newly re-opened second floor and saw a new lighting display on the outside of the building. The usually quiet library was host to a post-race party — complete with music, food, and beer — for a downtown 5K run. On Tuesday, the Hattiloo Theatre staged a free performance of Mahalia on the second-floor space. As much as the Civic Commons project is to connect the places to each other, it's also about connecting the community to the river, said Furhrman, who called the riverfront "Memphis' first great place."